You may register for workshop classes either by mail (until postmarked date August 31, 2014) or online. The advance purchase price is available until September 10, 2014. Thereafter, all workshops must be purchased at the door. 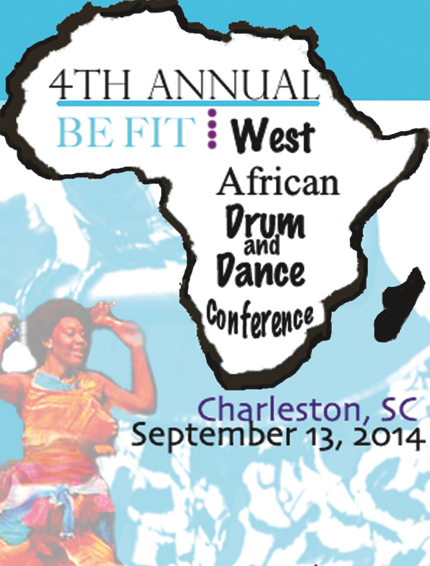 To register by mail, please complete the Pre-Registration Application and send payment via cashier’s check, money order or bank check to Wona Womalan West African Drum & Dance Ensemble, 205 Saber Street, Summerville, SC 29483. Checks are made payable to Wona Womalan. Please no personal checks. All participants who pre-register (online or by mail) will receive workshop tickets at the conference registration desk. Photo ID is required to receive pre-registered workshop tickets. 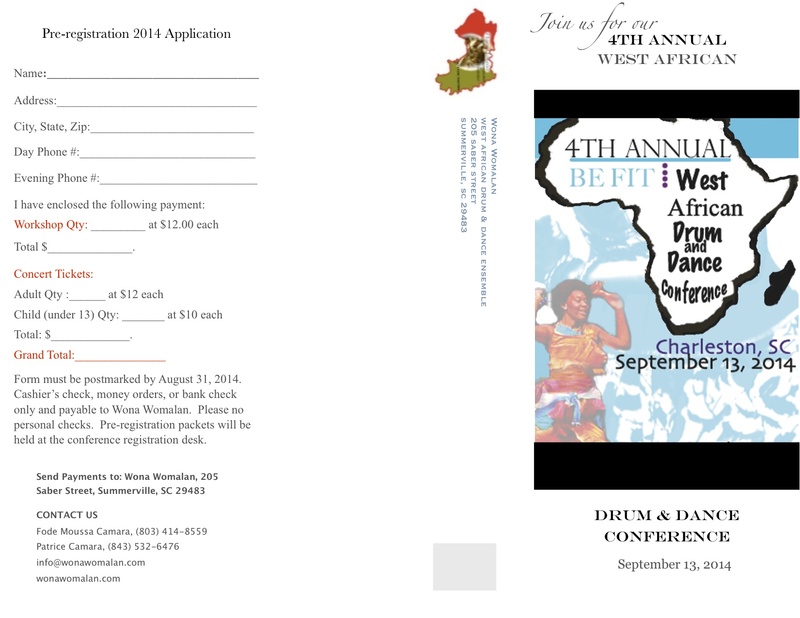 *Wona Womalan West African Drum & Dance Ensemble assumes no responsibility for personal injury or personal loss. Photographing, audio and video taping are prohibited during conference activities. All children and/or youth groups must be accompanied by an adult or an adequate number of chaperones. Vendors are welcome! If you would like to vend during the conference (in Festival Marketplace) and/or concert, please complete a Vendor Agreement. See you there!